Quest Grisham (cool name!) in custody after Precinct 2 Constable Gene De Forest’s team nabbed him! 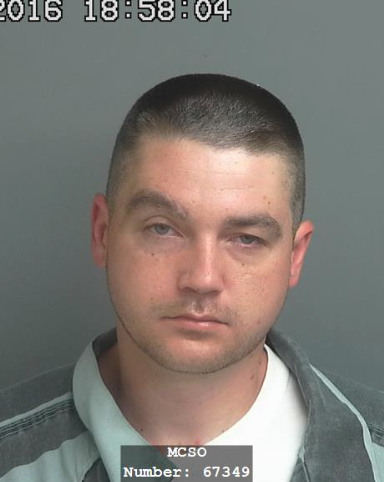 Conroe, February 12 – On Saturday, February 9, 2019, at approximately 3:30 p.m., Montgomery County Precinct 2 Constable’s Office Lieutenant W. L. Gladden observed a suspicious vehicle on Ponderosa Circle in the Magnolia Bend subdivision. As Lieutenant Gladden approached the vehicle, it left the area quickly and pulled in at a residence there. As Officer Gladden approached the stopped vehicle, the passenger, later identified as Quest Grisham (a cool name! ), exited the vehicle in an attempt to enter the house. Both subjects were identified, and Grisham admitted he is a convicted felon. A pistol was found on his person, and he was detained by Lieutenant Gladden for that offense. Upon consenting to a search of his person, Lieutenant Gladden discovered more than 1 gram of methamphetamine in Grisham’s pocket. Grisham was booked into the Montgomery County Jail with charges of Unlawful Possession of a Firearm by Felon (3rddegree felony) and Possession of a Controlled Substance (State Jail Felony).